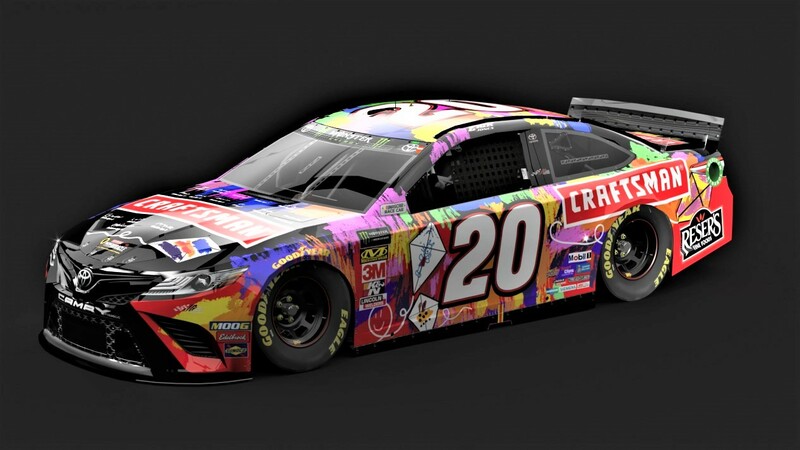 Hi folks, I decided to take a crayon to my Erik Jones Craftsman car to try to recreate the car he drove this weekend at Bristol. It's not perfect by any means. But I like to think it's close. I could read a couple of names on the hood, the rest I made up. **CREDITS** SNG Template, BER Numbers, Google Logos, Base Me, Corona Render Stunod Racing, Busta BPillars. Rated and with a simple crew. Lemme know your thoughts. Awesome job! Thank you. Check out my comment to you on your Facebook page! Amazing work Chris. Thank You! Incredible Work Man! This Is Gorgeous! Never Thought Id See This Car Made In Such A Short Amount Of Time!